One owner, accident free 2018 Mercedes Benz B250. Upon arrival at our dealership, this vehicle went through the Mercedes Benz Star Certified inspection. With original MSRP of over $44,000, this vehicle is equipped with Rear View Camera, Navigation, Apple CarPlay/ Android Auto, Active Parking Assist, Blind Spot Assist, Bluetooth connectivity and much more… Visit us today or reach out to us for your personalized walk around video. The state-of-the-art facility at Mercedes-Benz Country Hills provides customers with an experience unlike any other. 3 lane service drive thru, 30 service lifts, Mercedes-Benz parts specialists and boutique, AMG Performance Center, the Benz Bistro, and Country Hills Kids Club are all here for your benefit. If you should have any questions regarding this vehicle or another in our inventory, please give us a call (403-930-7778) or pay us a visit at Mercedes-Benz Country Hills. Price includes $785 in dealer fees and levies. NO HIDDEN FEES. Plus GST. 2017 Mercedes Benz CLA 250 Coupe. Upon arrival at our dealership, this vehicle went through the Mercedes Benz Certified inspection. This CLA 250 is equipped with Power Heated Front Seats with memory function, Automatic Climate control, Selectable Driving modes, Automatic Start/Stop function, Bluetooth Connectivity and much more… Visit us today or reach out to us for your personalized walk around video. 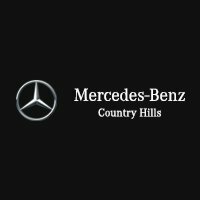 The state-of-the-art facility at Mercedes-Benz Country Hills provides customers with an experience unlike any other. 3 lane service drive thru, 30 service lifts, Mercedes-Benz parts specialists and boutique, AMG Performance Center, the Benz Bistro, and Country Hills Kids Club are all here for your benefit. If you should have any questions regarding this vehicle or another in our inventory, please give us a call (403-930-7778) or pay us a visit at Mercedes-Benz Country Hills. Price includes $785 in dealer fees and levies. NO HIDDEN FEES. Plus GST.